Since it's on Git, how does it deal with large files? A 20 MB psd over 10 commits usually results in a repo > 100 MB for me. It adds up quick, but it depends on your workflow I guess. 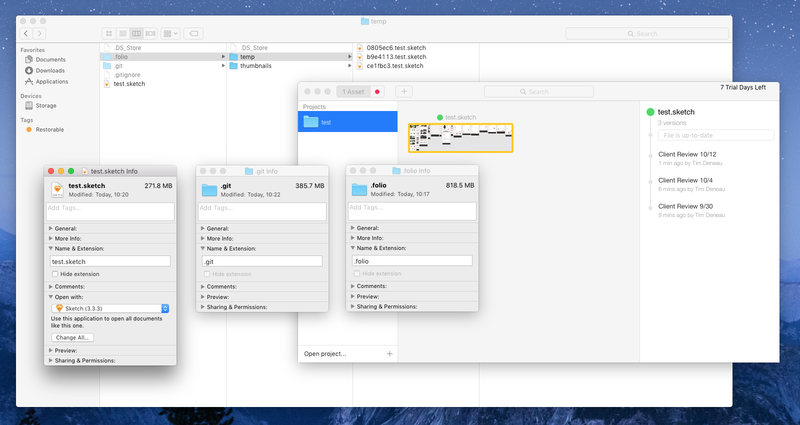 For instance if you’re using Sketch to map out entire projects, then it’s not very practical. Seems to be tailored towards single page documents. Agreed, it works great for a single user. It just doesn't scale.